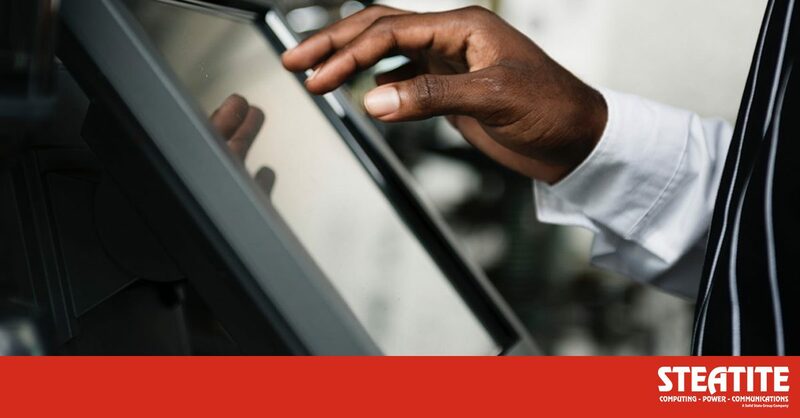 Understanding the differences between the two touchscreen technologies is vital when selecting the most suitable solution for your application. The drop down menus below covers the key differences between the touchscreen technologies – if you’ve any questions, one of our team will be pleased to help. Smartphones, tablets, laptops and pretty much any other consumer device that has a touchscreen, plus some industrial panel PCs and HMIs. Industrial HMIs and panel PCs, primarily. What can you touch it with? Fingers, gloved hand (surgical gloves or special touchscreen-compatible gloves only) or capacitive stylus. Finger, gloved hand, stylus, pen – basically anything will work, as it operates on pressure. Yes, up to 10 touch points supported. No, only a single touch point (no pinch and zoom etc). P-CAP is usually a little more than resistive, but the gap is closing. Generally slightly cheaper than P-CAP, as it is a simpler technology. As there are no moving parts on a P-CAP screen, it would usually last significantly longer than a resistive touchscreen in the same usage scenario. The mechanical nature of a resistive touch overlay means that it will eventually wear out, especially if the same point is touched over and over again. However, they are still usually rated for around 1 million touches across the entire screen area. Most P-CAP screens have a toughened glass overlay to protect the sensor, which makes them very robust. However, it is still possible to smash the glass overlay. The resistive touch overlay is exposed and is susceptible to damage from heavy-handedness. When your finger touches the screen, it interferes with the electrostatic field that the screen generates. The T/S controller then calculates the X, Y coordinates of each touch. It is essentially a pressure sensor. When you touch the screen, the two layers make contact and the X, Y coordinate at that point is fed back to the PC.